The school makes a good team of the passionate, hard-working and creative individual who has been hired and retained by the committed owners from all across the country. The Program integrates Academics, Sports, and Activities; while the Academic part is run in the Classrooms, the students go to other rooms for Activities and. This will run on the Learning Centre (LC) concept; in addition to the usual Physics, Chemistry and Biology which all taught in their respective laboratories, ALL subjects shall be taught in their respective 'laboratories'; called LC where the teacher is stationary in one LC and the students move from one LC to another. The students will store their books and other belongings in their individual lockers at an appropriate place(s). The Program shall also call for integration of Sports and Activities with Academics; the students will move from place to place. 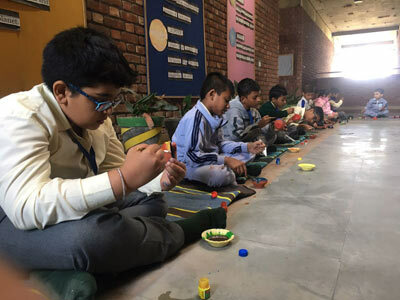 We at Prakriti Valley School focus on activity-based and skill oriented learning where children do plenty of practical work and learn from their practical experiences rather than attaining mere bookish knowledge. Therefore, the classrooms are planned to facilitate plenty of individual activities, or project work in small student groups. Children do a lot of work outside the classrooms, in the school gardens and the design of movement spaces ensures a free flow of student traffic without disturbance to other classes. As part of their curricular programme, students will be encouraged to undertake social service activities in conjunction with their syllabi, such as rural interaction, working with the handicapped (mentally challenged, blind, deaf, dumb), working with the poor, making compost pits, campus gardening, tree-planting, classroom maintenance & cleaning, etc. Also, as a result of the activity-oriented educational approach, unlike other schools, where pin-drop silence is observed, a lot of movement, discussion, etc. in the respective classrooms is encouraged. Therefore our building architecturally can withstand the high noise level and the classes are not disturbed by movement in corridors and playgrounds outside. Instructional periods will be of 40 minutes each, with a break of 5 minutes in between each period (for Secondary students), to allow for student movement between classrooms. There will be 7 academic periods per day, from Monday to Friday, while on alternate Saturdays, there will only be project periods for the Senior students. 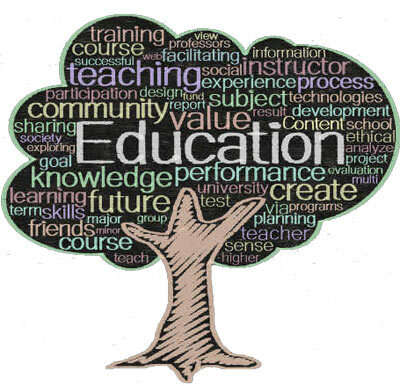 Students who are weak in their studies are given remedial coaching (extra tuition), either during co-curricular or activity periods. Thus, students who are falling academically behind, are given one-to-one counseling/coaching at the Remedial Centre on a one-to-one basis, until they are able to achieve the desired standard. Unlike most schools, where students visit the laboratories only once or twice a week, in Prakriti Valley, Science classes will be conducted in laboratories. These will be 'teaching laboratories', in that all student workstations are front facing so that both practical and theoretical work can be done there. Apart from the Physics, Chemistry, Biology and Home Science laboratories, the School, will also have an 'Environmental Studies' laboratory for Science teaching at the Primary & Middle levels. Environmental Studies involves the teaching of Science, Geography & Civics, coupled with elements of other subjects, in relation to the immediate environment of students. Students are split into groups and given specific, topical issues to research, largely through experimentation and discovery. The various groups analyze and compile their findings, which are then presented to the class, or group of classes. In this day and age conversancy with computing is an essential component of education. Therefore, from Classes 1 to 10, at least one period per week has been scheduled for Computer Literacy. This basically involves getting children to feel comfortable with working on computers and giving them a basic familiarity with common applications software, including word processing, spreadsheet, relational database and graphics programs. In these classes students will be able to experiment with various types of animated situational simulations, related to the subject concerned, using multi-media programming.